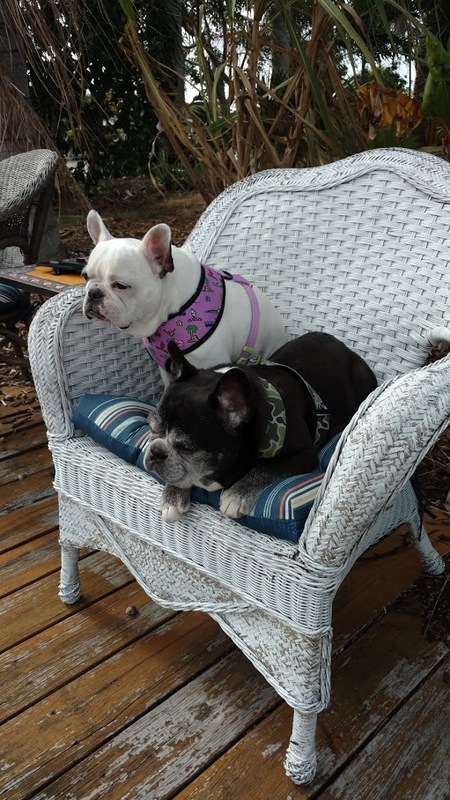 Poncho and Susie are a bonded pair being fostered in the sunny state of Florida. Poncho is 10-years-old and Susie is 8. Poncho originally came into another rescue as a young dog. He was a Ukrainian import and lived with his owner for approximately 8 years until she passed. 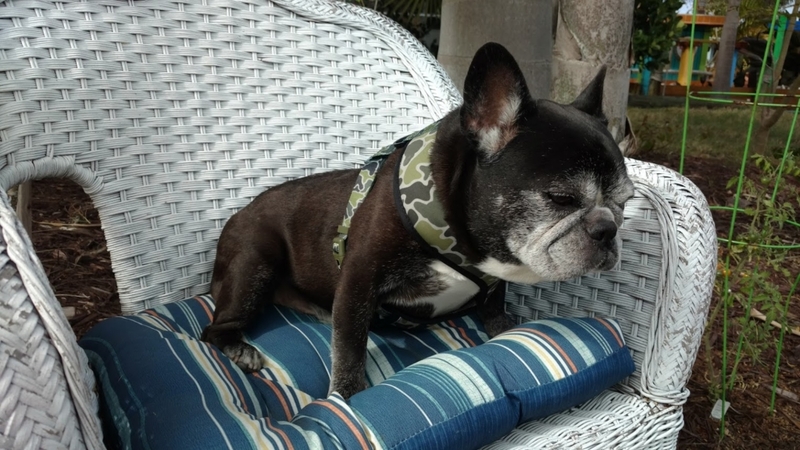 Susie was born in rescue when her pregnant mom was surrendered to another French Bulldog rescue. She was with her devoted owner for nearly all her life. After their owner passed away, Poncho and Susie stayed in another home for several months. 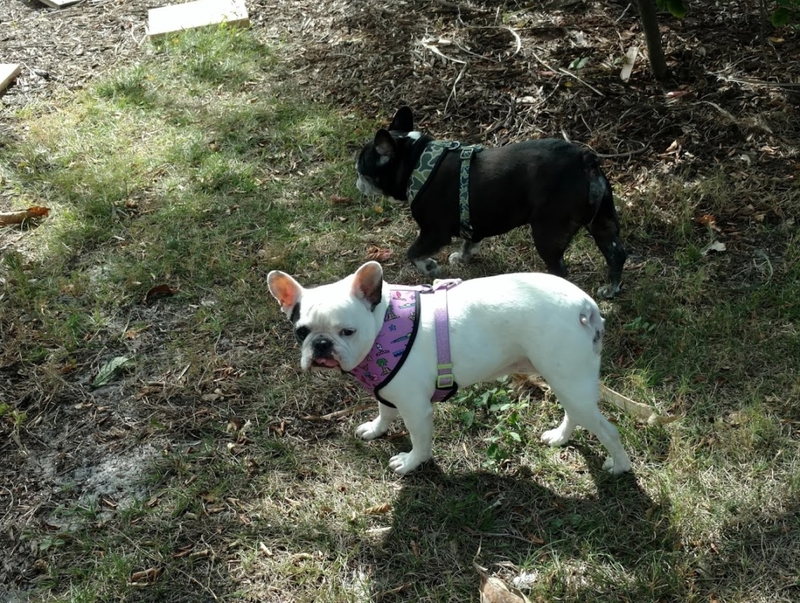 However, this person surrendered them to French Bulldog Village when she realized that she was unable to give them the time that she knew they deserved. They both have ongoing health issues given their ages. 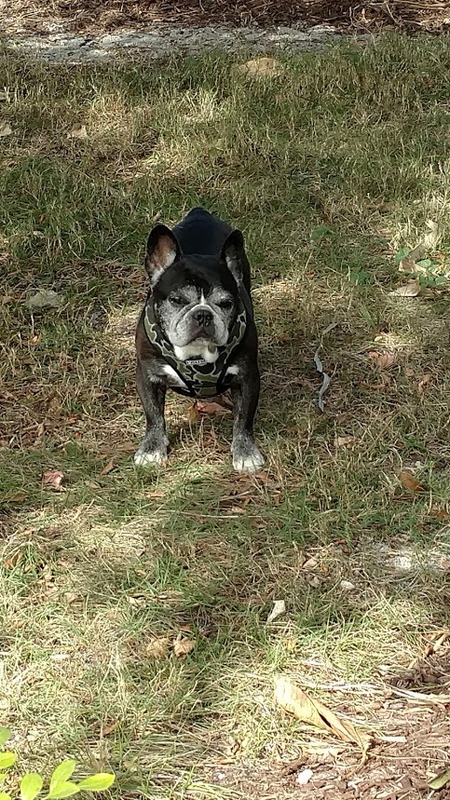 Poncho is in pretty good health for a senior dog. He occasionally suffers from allergy issues and has impaired vision. Susie also suffers from allergies typical of the breed. They seem to be environmental as her foster home has limited her food to beef products, carrots and apples. She receives a 25 mg Benadryl with breakfast and dinner and will usually take each pill with her kibble. If she doesn’t, her foster mom puts the pills in cheese. Zymox wipes and bi-monthly baths also seem to help her allergies. Susie is hearing impaired as well. Susie is housebroken. She often goes to the back door to indicate she wants to go outside. Poncho, on the other hand, is only partially housebroken. Having him wear a belly band initially in his forever home would be a good idea until he gets used to his new routine. During his first week in his foster home, he went out usually once over night to potty but now he doesn’t wake until around 7:30 AM. He is the first one up in the morning and goes right outside to do his business. Susie and Poncho are fed in their crates because Susie is a slow eater. They are also given frozen marrow bones in their crates because they are of high value until they are a little worn. Then they will share the bones with less guarding. There have only been a few scuffles between Susie and Poncho; however, they were mostly just posturing. Susie also has had a couple confrontations with the resident female hound, but this too was mostly posturing and stares. The resident dog tends to be the fun police when the dogs play, so foster mom removes her from these situations. A fenced yard is required for these two. Both are crate trained and leash trained. They will need someone who is home all day with them or someone who works but can come home at lunch or have a pet sitter/dog walker come to allow the dogs a mid-day potty break. They enjoy walks and while they like to go on adventures, also are just as happy at home. They love having visitors to the house and happily greet them on each visit!! Their foster family has not had any young visitors to the home, but they think that these pups would prefer a home with adults only. Susie and Poncho are very bonded but would do well with other dogs in the house if those dogs do not mind having bones or toys occasionally stolen. Poncho is very playful for his age. He and Susie will play chase and tug. Poncho loves stuffed toys, marrow bones and hooves. If you have been gone from home, he will excitedly greet you when you return. Poncho is very cuddly and a wonderful couch potato when it’s TV time. He will lie down next to you as you read or do work. He is a great cuddler while on the sofa and loves to lie between your legs, in the crook of your legs or on top of your legs. Susie gives one crazy “stink eye! !” That, partnered with her too big tongue, is the cutest thing ever. She will also burrow under covers or blankets and is either totally hidden or sticks her face out. She doesn’t have to be right by you in the house and will often wander into another room to nap. She also has a lovely loud snore. She LOVES to give kisses and could staff a kissing booth all day long. She likes bones and hooves but usually only plays with stuffed toys if Poncho is playing with one. Susie and Poncho are still very young at heart and deserve a family who will give them the attention they deserve. They are easy going and although a bonded pair, don’t always have to be by each other’s side. They would love a family that will appreciate who they are as individuals and as the attached pair they have become! If you think you can give these two cuties the best life ever, please submit an application! **WE DO NOT SHIP DOGS. **APPLICATIONS FROM FLORIDA, OUT-OF-STATE AND CANADA WILL BE CONSIDERED. **WE REQUIRE THE DOG BE PICKED UP IN PERSON IN THE AREA OF THE STATE SPECIFIED ABOVE. **ALL ADOPTIONS ARE SUBJECT TO A HOME VISIT. **FOR THE SAFETY OF OUR FOSTER HOMES, WE DO NOT ALLOW MEET AND GREETS PRIOR TO ADOPTION. **PLEASE KEEP IN MIND THAT SOME REGRESSION IN BEHAVIOR AND POTTY HABITS IS TO BE EXPECTED WHILE A DOG IS ADJUSTING TO A NEW HOME. If you are interested in adopting Susie & Poncho, please fill out an online application. There is a $10 application fee.